There’s no denying the power that Facebooks community management tools hold for a brand looking to directly reach its audience. Most if not all of us can agree that starting a Facebook business page is a necessity, especially for a creative business. Any and all methods of content distribution should be something you should consider as a part of your strategy to bring your work to the masses. 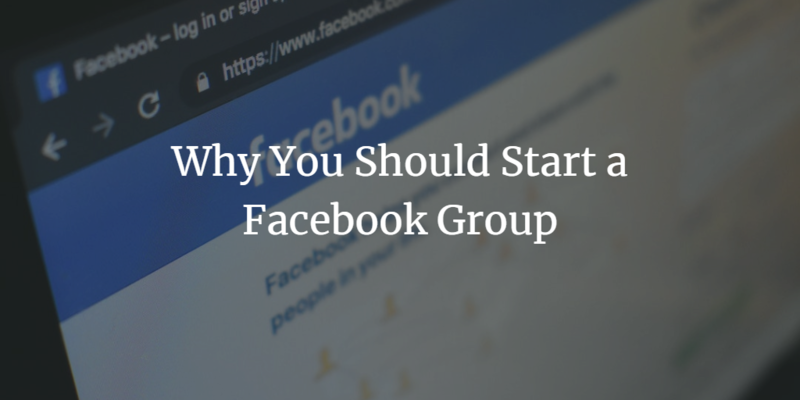 But there is a tool that some but not all have considered, your very own Facebook group. We will be discussing why your business could possibly benefit from groups and the thought process that goes into creating a group. Naming your new community should catch the attention of your specific dedicated audience and those that relate to the content your group is posting. They should know what they’re coming into and they should be excited and ready to share related content to the subject matter that you have established within the groups ‘About’. You do not want to name your community after your brand, you can have your brand name in the title, but it should be something that separates your community from your business page. Do not worry about the length of the name. Be a little clever, even facetious, a good group name is key to attracting new members. Think of your group as your community. You want to bring people into your private forum that you know are interested in your product/brand/message/niche/business. Start by inviting your closest friends and fans. The people that engage with you on a regular basis and support your endeavors. As people start to join be sure to have at least 1 and at most 3 questions that relate to the niche of your group. This will prevent bots and will help you narrow down who may be more engaging within your group but to start I recommend letting everyone in and be fastidious with watching the comment sections. Depending on the subject matter it is always wise to keep an eye out for trolling and spamming. Your community is a safe space for you and others interested in your niche to post, nurture it. If you’re not accustomed to posting anything but your own content well now is time to don the content curator cap and really get to looking for what your audience can relate to or use the most. Content curation is an art and your Facebook group is the canvas. Look for your niche’s content and start posting your curated content regularly. Your original content is great but utilize this space to share everything related. If you are already curating content to your page your group is your testing grounds. It’s a place where you can engage on a more personal basis and really understand your audiences’ interests and get them engaged with your brand especially now that Facebook pages can join groups. It takes an investment of time and attention to really get a good group going but the information you get back from your audience even from a small group is priceless and not just information, you can nurture your brand and your audiences brand loyalty. Utilizing all the tools Facebook has to offer will yield infinite benefits, use them wisely and be strategic with every action you take. This is just a few strategies on how to start a group, Facebook offers many tools to assist in making your group successful. We hope this was helpful to you and your business. Please let us know if you would like to see more of this type of content or have any comments or suggestions you can direct message us on our Facebook or Instagram.